One of the best trainings to train Rhythmic Gymnast’s eye coordination is juggling. Rhythmic training with tennis balls has been everywhere in SNS recently. (The photo : Natalia Godunko performing the training with tennis balls. Source her instagram.) 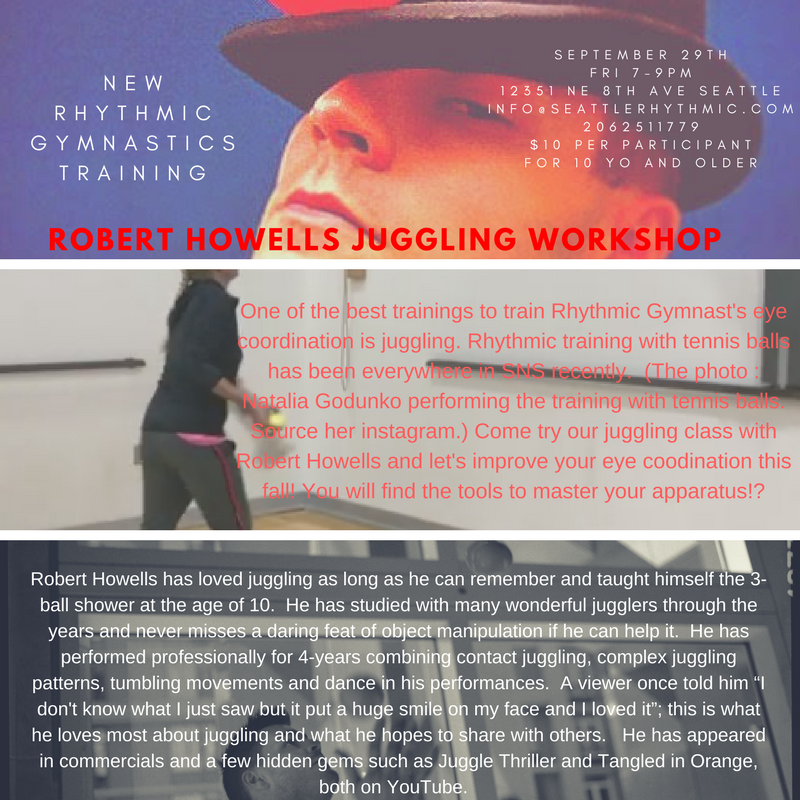 Come try our juggling class with Robert Howells and let’s improve your eye coodination this fall! You will find the tools to master your apparatus! ?